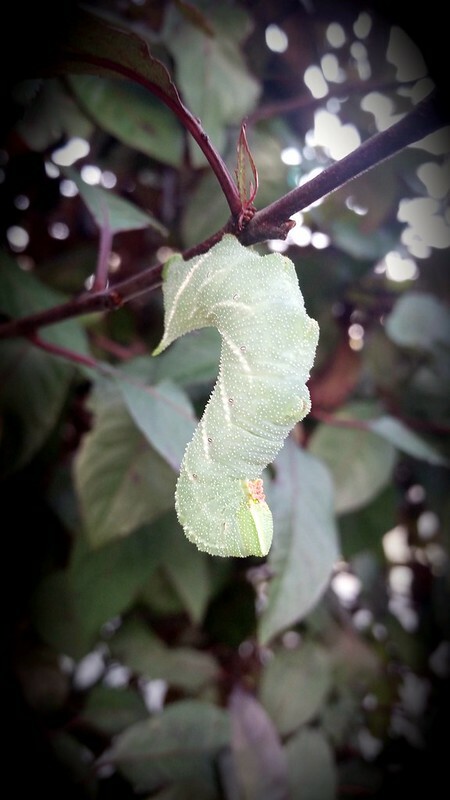 Photo Reflection of the Day #160: I think this is a Caterpillar? A funky little fellow I stumbled upon during a walk this week. It's times like these, I appreciate how much I have taken to walking and running around in my neighborhood. On an early morning while doing my cool down walk from my run, I walked by this guy. I walked by it and questioned what I just saw and went back. It is a curious fellow and I've never seen anything like it. I watched it for a few minutes without it moving too much and decided that a photo of this fellow was entirely necessary. I highly recommend clicking through to Flickr so you can see the photo up close as you can see all sorts of details when you zoom in.